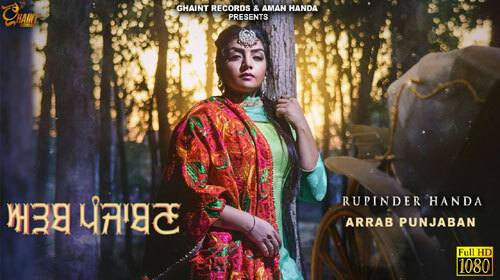 Arrab Punjaban Lyrics by Rupinder Handa is a recently released Punjabi song written by Sewak Maan. Its music is composed by Desi Routz while Ghaint Records has released this song under its label. If you find any mistake in lyrics of ARRAB PUNJABAN LYRICS – Rupinder Handa song please let us know in comments.